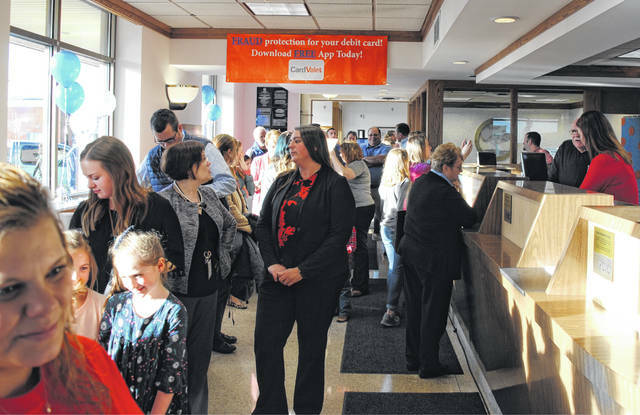 Locals gather at the 37th annual Ernie Blankenship Radio-Telethon benefiting the Highland County Society for Children and Adults Wednesday night at Merchants Bank in Hillsboro. 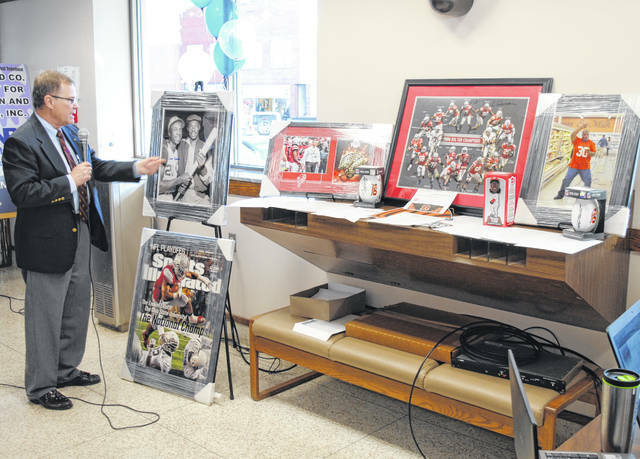 Members of the Blankenship family are interviewed Wednesday at the outset of the Ernie Blankenship Radio-Telethon. 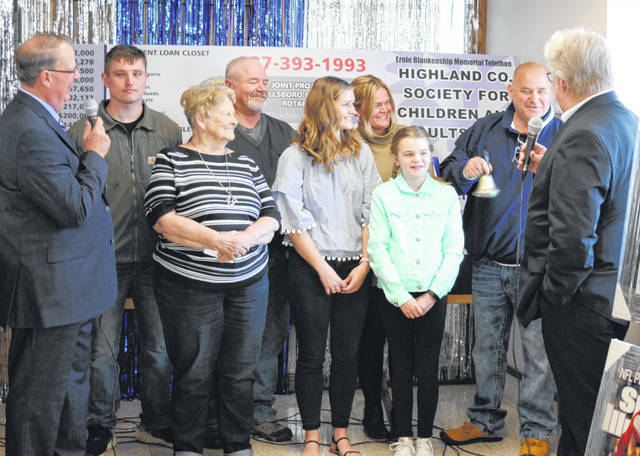 Local Judge and Rotarian Rocky Coss gives the rundown on auction items benefiting the Highland County Society for Children and Adults at Wednesday’s radio-telethon. 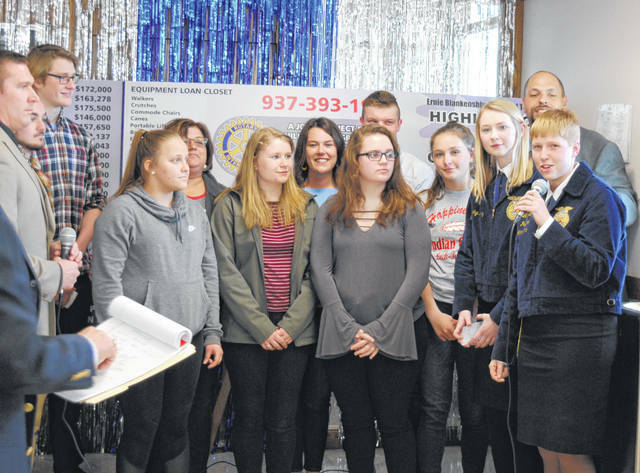 Students and members of Hillsboro City Schools clubs are interviewed at the Ernie Blankenship Radio-Telethon on Wednesday. 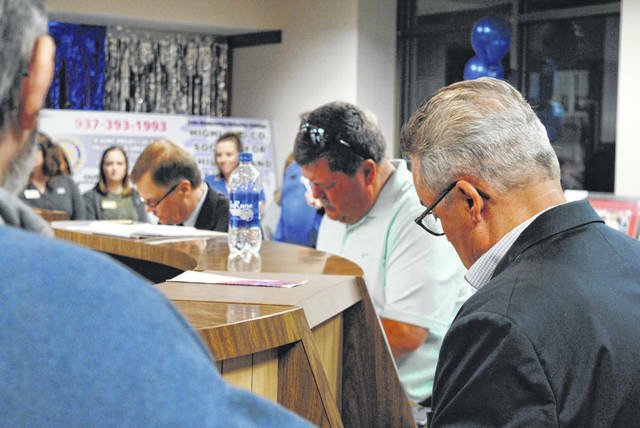 Attendees at the Ernie Blankenship Radio-Telethon late Wednesday write checks to the Highland County Society for Children and Adults. 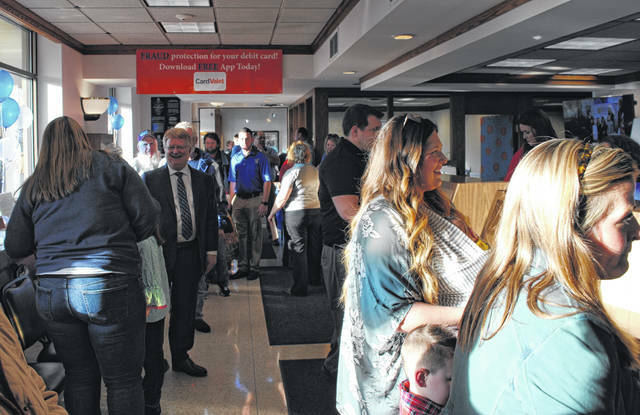 Representatives of local businesses and groups and other individuals participate in the Ernie Blankenship Radio-Telethon on Wednesday. 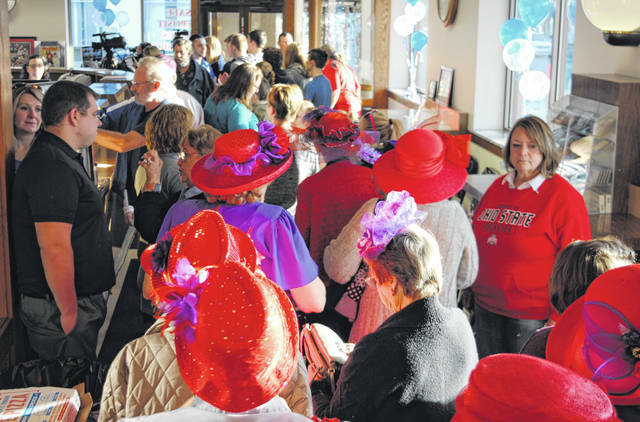 The Red Hatters, a local civic group, participate in the Ernie Blankenship Radio-Telethon Wednesday evening.